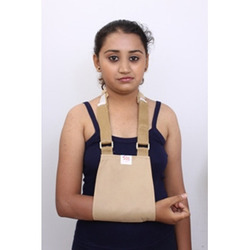 Manufactured as per the set industrial norms and guidelines, the offered Arm Sling is of unsurpassed quality. Owing to the high-grade raw materials used in its manufacture, the offered product offers commendable effectiveness. The offered product is used for the purpose of restricting the broken bones from shifting. In addition, we offer these at the best rate possible. Looking for Arm Sling ?